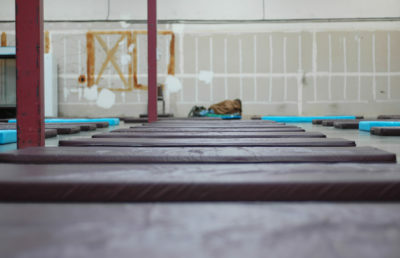 Berkeley City Council will vote on whether to keep the Berkeley Emergency Storm Shelter, or BESS, open an additional six weeks, after it was planned to close Sunday. To extend the time the shelter is open, the city plans to pay Dorothy Day House, a nonprofit organization that runs BESS, $90,000 to keep the shelter running. According to Executive Director of Dorothy Day House David Stegman, the organization’s contract to run BESS ended April 15, but City Council will vote at its May 1 meeting to extend it to May 31. The shelter is in a “brand-new facility” that is 10,000 square feet and hosts 90 people, according to Stegman. BESS previously postponed its closure date by obtaining private funding, but it will now potentially be able to stay open through city funding. To fund the shelter, Councilmember Ben Bartlett said the city will reallocate funds from a variety of different places. Bob Whalen, program manager at the Dorothy Day House, said City Council may also vote to extend the postponement to the end of June. 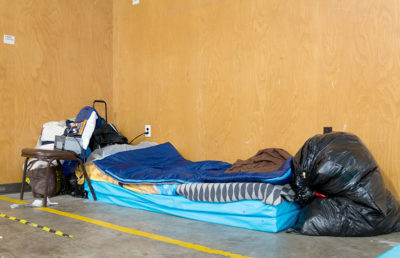 According to Whalen, one of the reasons City Council is voting to keep the shelter open is that council members have not come up with an alternative for housing homeless residents. Whalen added that the shelter connects people to services such as Berkeley Food and Housing Project and the Berkeley Free Clinic. Stegman and Whalen said, however, that after the six weeks are up, people will return to the streets. Bartlett said California has more than 100,000 homeless people — more than 1,000 of whom are in Berkeley. 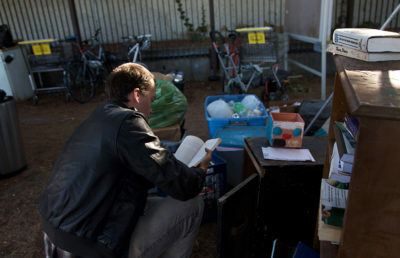 The state would have to pass strong legislation in order to fix the homeless crisis, he added.